Born in New Zealand and bred in Otara, Auckland. Attended Sir Edmund Hillary Collegiate and played for the Otara Scorpions and Otahuhu Leopards in Auckland Rugby League competitions before playing for the Otahuhu Ellerslie Leopards in the Bartercard Cup. 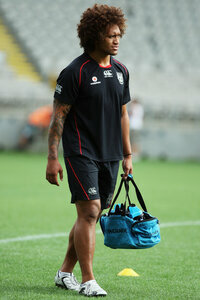 ‘The Beast’ was scouted at the age of 16 by the Vodafone Warriors after piling on the points at club level for the Otara Scorpions and then the Otahuhu Leopards. 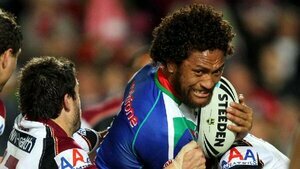 He bided his time with the development squad before being called upon in 2004, making his NRL debut against South Sydney. He impressed from the outset and began evolving into the threatening combination of velocity and power that we know him to be today. 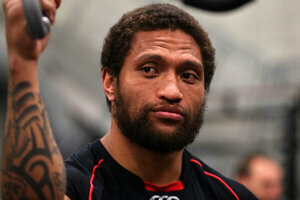 Vatuvei posted his most impressive season to date in 2008, despite being limited to 17 games with a broken leg. He scored an incredible 16 tries, including a hat-trick against Parramatta in the final regular season match to secure a playoff berth for the Vodafone Warriors. He was recognised for his standout year by the Rugby League International Federation’s decision to name him as the International Winger of the Year. This acknowledgement came just days before the Kiwis’ dramatic World Cup final victory, making it a week to savour for Manu. His 2010 season was another one to remember as his 20-try season took him to top spot on the Vodafone Warriors' all-time try-scoring chart, passing Stacey Jones' old mark of 77. He has since gone on to tighten his grip on the record, advancing to well over the 100-try mark going into the 2014 season. 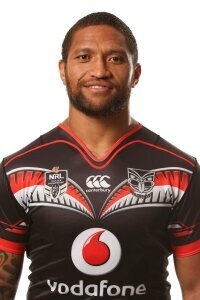 His strike rate is one of the best among all current NRL players. 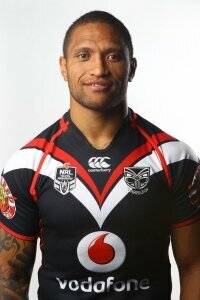 2011 - Played in NRL Grand Final loss to Manly scoring 1 try.